If you’ve thought about starting your own personal branding, online course or niche membership website, then you’ll need to set it up with a few specific and important elements to ensure that your members have a great experience. Below, we’ll discuss a few different ways that you can set up your own membership website to bring in money while working from home! It’s no secret that one of the best platforms to build a website is WordPress, and for good reason – your membership site will need to provide you with full control over every design element. 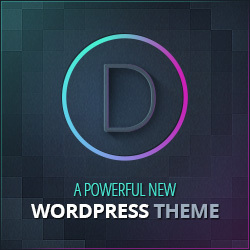 We highly recommend using the Divi Builder Theme by Elegant Themes, as it provides you with a myriad of tools to edit every facet of your website’s design. This includes the obvious elements, such as adding photos, forms, videos, and custom code – but, you also need to be able to edit the padding between elements, control which pages need a sidebar (and those that don’t), among many other non-obvious elements. When building your website, also consider the general theme of the website. If you’re a personal brander, then you probably already have specific colors and fonts chosen to display on every page of your website. With Divi Builder, you can have many different fonts and colors on every page as needed. There are a number of different membership plugins, designed specifically for WordPress, that will help you to automatically block certain pages and elements from being visible to the general public (e.g., non-members). MemberPress. This plugin is an “all-in-one” membership plugin for WordPress. MemberPress will help you build astounding WordPress membership sites, accept credit cards securely, control who sees your content and sell digital downloads – all without the difficult setup. LearnDash. As the company advertises, this plugin is one of the most trusted Learning Management System (LMS) plugins for WordPress available on the market. In fact, they tout that it is the #1 choice of Fortune 500 companies, major universities, training organizations, and entrepreneurs worldwide for creating (and selling) their online courses. Restrict Content Pro. In the past, this was one of our favorite membership plugins because of its ease of use and low cost. This plugin states that it is a full-featured, powerful membership solution for WordPress, and we agree. S2Member. With over 1.2 million downloads, it’s no wonder that this plugin made the list! The best part? It’s absolutely free to install – of course, as with any full-fledged software there is a cost involved if you want the full features, but it comes with many powerful features such as content dripping, payment gateways, and integrates with other services such as MailChimp and bbPress. Depending on the type of membership site that you’re trying to build, you may want to consider implementing membership levels. For instance, many software subscriptions (such as Acuity Scheduling, Buffer, etc.) offer different packages with higher costs for more features. The same goes for membership websites! Bronze Member: Access to expert blog content, PDF guides, and tutorial videos. Free. As you can see, being a “Gold” member would be significantly more every month because it includes everything that the first two packages offer, plus “free” coaching from the course creator (in the course author’s mind, it would really be bundled into the cost of the membership). Remember that these prices are arbitrary, and don’t necessarily represent what actual prices might look like. It depends on your brand, and what you offer your customers! When your members sign up for your website, you should have a system of remarketing emails designed to keep your members involved, or “clued in” to what you’re up to. You can set this up automatically through MailChimp, which has its own free service available up to 2,000 emails a month. If you have 100 members, for instance, you can send all of them 20 emails each. If you have 1,000 members, you’ll probably have to upgrade – 2 emails per month isn’t enough to keep your members interested! Also host webinars and monthly meetings with your members – maybe offer it as part of one of your paid packages – to show your face on camera and help your members remember that you’re a real person who’s trying to help them. Membership sites, other than course sites, rarely work if you tout yourself as an agency or a company – these usually work best as a personal branding membership site. Your membership website should have a consistent feel no matter what page your visitors go to (actually, this is a rule for all websites). Some ways to achieve this are using the same fonts throughout your site. Keep in mind that depending how many words you have, the experience will be different on various devices. With most internet users engaging on smartphones around the world, make sure that your font sizes are proportional for whatever device your website may be viewed on. Your site colors are also important. We recommend using no more than four (4) colors throughout your site, including fonts, design shapes, photos, graphics, etc. It can be discouraging if members don’t start pouring in at first – it takes time to be recognized as an expert, or have your website develop a high-quality reputation. When customers trust your brand, they’re much more likely to be willing to pay for something that you’re offering – in this case, it’s a membership. Remember, people want to feel as though they’re part of something bigger than themselves. If you’re looking to start your own website or need help with marketing online but you don’t know where to begin, contact us. Paul Cassarly is a U.S. Marine veteran, entrepreneur, and musician living in Altoona, PA. His experience includes music production, website design, video production, writing/editing, and social media marketing. He currently owns and operates Cassus Media LLC and Cassus Records LLC. Want to host your website for FREE? When you hire us to design your website from scratch, Cassus Media will host your website for free, forever. To learn more, click HERE. Enter your email below to take our survey and download your FREE Marketing PDF Guide! Thank you for providing your email! Click below to take the survey.